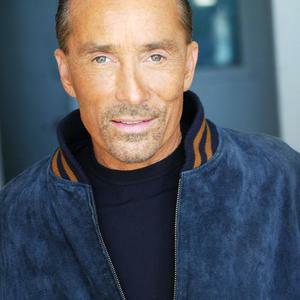 Lee Greenwood (born October 27, 1942 in South Gate, California) is an American country pop singer and songwriter. He is best known for a string of Countrypolitan hits throughout the 1980s, as well as for his hit "God Bless the USA". Early life After the separation of his parents, Lee grew up in Sacramento on the poultry farm of his grandparents. At the age of seven, he began playing the saxophone, and at the age of nine became a member of a dance ensemble. In 1969, he joined the Chester Smith Band and had his first television appearance. After the separation of his parents, Lee grew up in Sacramento on the poultry farm of his grandparents. At the age of seven, he began playing the saxophone, and at the age of nine became a member of a dance ensemble. In 1969, he joined the Chester Smith Band and had his first television appearance. A short time later, he worked with the country musician Del Reeves. He founded his first band, Apollo, in 1962. He briefly battled a cocaine addiction and moved to Iceland to go to rehab. The band, which changed its name later to Lee Greenwood Affair, played mostly pop music and appeared mostly in casinos in Las Vegas. A few records were recorded in Los Angeles with the Paramount label. After the band broke up in the 1970s, Greenwood moved back to Las Vegas, where he worked as a black jack dealer during the day, and as a singer at night. In 1979, he was discovered in Reno, Nev., by Larry McFaden, the bandleader and bassist of Mel Tillis. After making some demo tapes, Greenwood was signed in 1981 by the Nashville-based MCA label, and McFaden became his manager. The first single, "It Turns Me Inside Out", made it to a spot in the top 20 of the country charts. Greenwood had written this song for Kenny Rogers, but Rogers turned it down due to the sheer volume of songs he had been offered at the time. "Ring On Her Finger and Time on her Hands" landed him in the country top 10. He is best known for writing and recording the patriotic song "God Bless the USA" in the early 1980s. "God Bless the USA" gained renewed popularity following the launch of Operation: Desert Storm in 1991, and again, ten years later, following the September 11, 2001 attacks; in fact, the song even re-entered the Top 20 of the country charts in late 2001. Since then, Greenwood has played at many public events and commemorations of the attacks. He supports the United States Republican Party. In 1995, Greenwood took a break from his touring schedule to spend time with his wife and newborn son. In his time off, he elected to build a theater in Sevierville, Tenn., and in April 1996, the "Lee Greenwood Theater" opened its doors. This gave Greenwood the opportunity to still perform daily shows, in addition to being with his family. The theater operated for five seasons, and closed for Greenwood to continue touring. The theater was not located in the heavily entertainment and tourist oriented areas of Pigeon Forge, Tenn., and Gatlinburg, Tenn., which contributed to the theater closing. The former theater building is now host to a church.